Sports Desk: It has been revealed that Diego Maradona has three children in Cuba, with these children not previously known about by the public even if he has had contact with them. This means the Argentine has eight children in total. 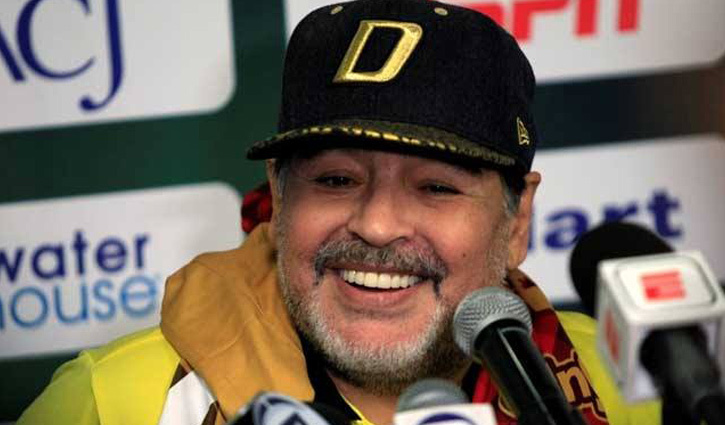 "Maradona has three children in Cuba and they are going to be recognised," his lawyer Matias Moria stated. "There are three children from two women. "There has never been any problem. "A claim has been lodged, but with lots of respect. "Diego is going to take charge of whatever he has to take charge of." One of his other children, Gianinna Maradona, joked about this development on Instagram. "You only need three more to make 11, you can do it!" she wrote.